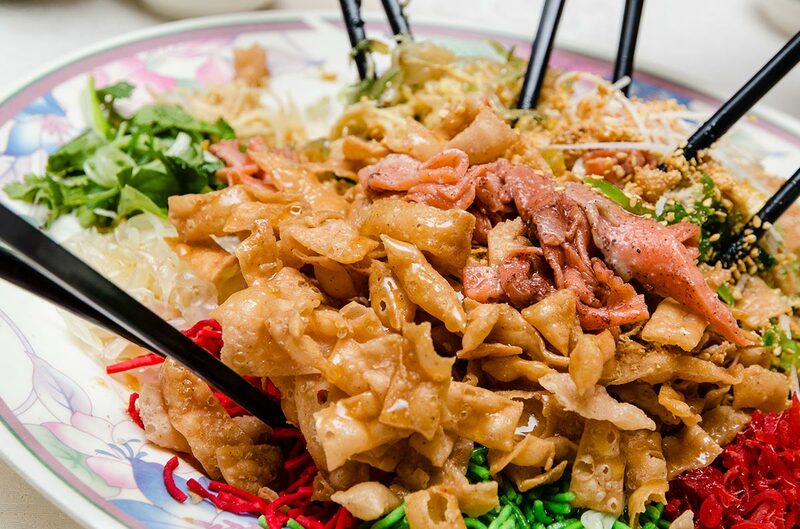 Yee sang is one of the quintessential must-have dishes every Chinese New Year season. This colourful plate of salad dish is typically enjoyed with families, relatives, friends and/or colleagues as everyone would stand up and toss the yee sang as high as possible with a pair of chopsticks. It basically works like this: The higher the toss, the better your luck will be. Carrots, white & green radish, cucumbers, pomelo, pok chui (deep-fried Chinese crackers), peanuts, sesame seeds, white pepper, Chinese five-spice powder, fish strips (e.g. fresh or smoked salmon if you can afford it) and sweet plum sauce. 1) First, you need to slice a few plums into small chunks and remove the pits. Next, mince some garlic and grate two tablespoons of fresh ginger. 2) Add these combined ingredients in a saucepan. Pour around two to three tablespoons of honey and two tablespoons of soy sauce into the ingredients. 3) Then, turn on the saucepan to medium heat and stir the ingredients from time to time for around 20 minutes. Transfer the dissolved ingredients into an immersion blender or a food processor. You can also use a normal blender if you do not own either of them. 4) Blend them until smooth. You can also add some water to dilute the sauce if you find it too thick to your liking. 5) Once done, let cool until it reaches the room temperature before storing the sauce in an airtight container. 6) Place it inside the fridge or freezer, which can last up to 2 weeks and 6 months respectively. 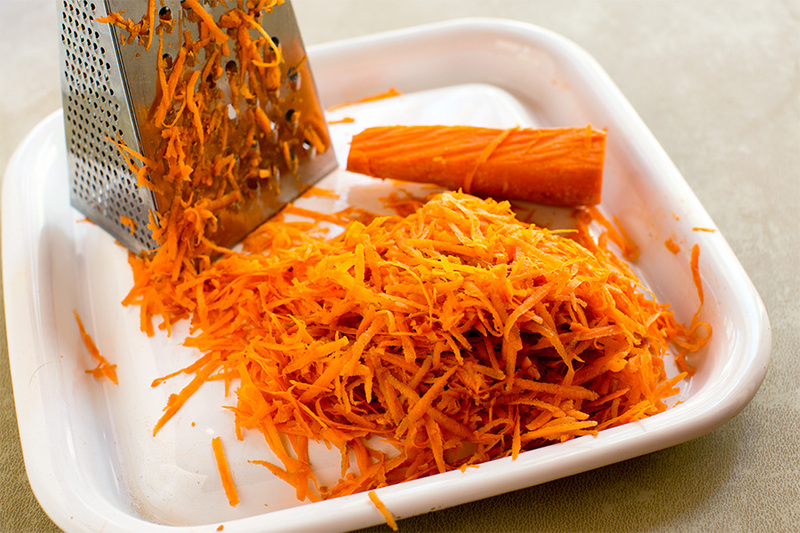 Use a knife or kitchen shredder/grater to julienne all the aforementioned vegetables into thin strips and set them aside. For pomelo, peel it and separate the sacs. Get a big, round plate and surround all those shredded vegetables and pomelo sacs on the side. Make sure you leave some space in the middle to place the fish strips. Then, add in the condiments (white pepper and Chinese five-spice powder) as well as peanuts (chopped/crushed and roasted) and sesame seeds (toasted). 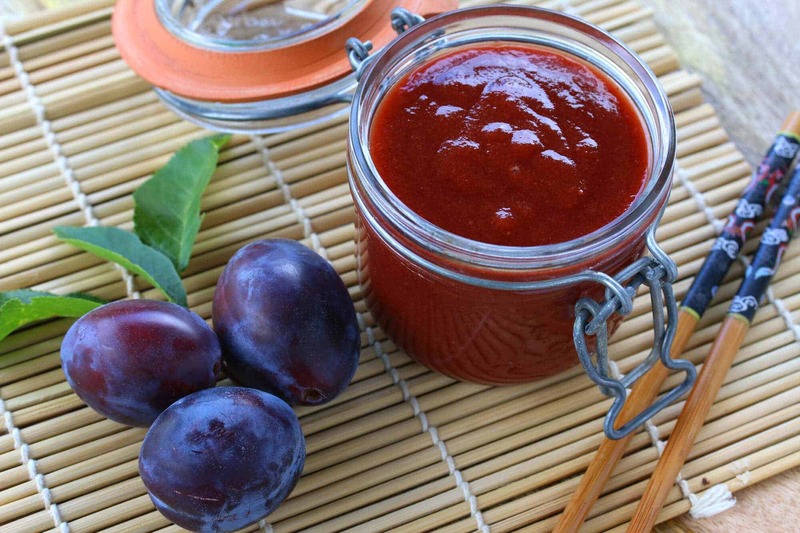 When you are ready to toss, pour the store-bought or homemade plum sauce all over the ingredients before serving. You can always tweak, substitute or add in more ingredients for your homemade yee sang dish. Among them are pickled gingers, jicama (sengkuang), pickled papaya slices and lime juice. Previous articlePenang Digital Library Phase 2 Is Now Open!